Hydraulic cone crusher is widely applied for the medium and fine crushing in rock crushing process. During operation process, the good maintenance plays an important role. 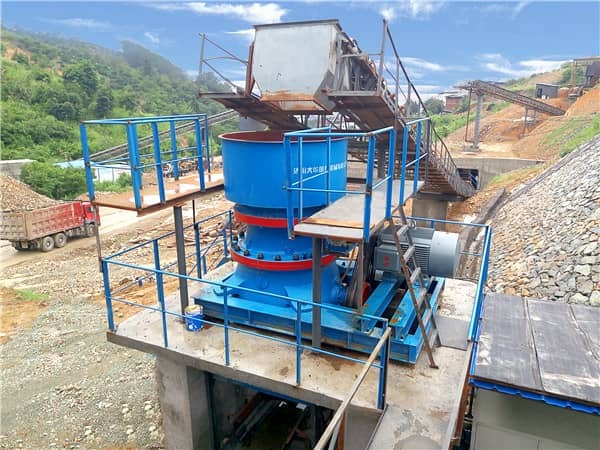 How to maintain the hydraulic cone crusher? 2. Check whether there are rocks or iron blocks inside the crushing cavity to ensure that starts the crusher without load. 3. Check each electrical interlock device and the signal light. 4. Check the width of discharging opening. If not required, should be adjusted in advance. 5. Check oil level and temperature. It is forbidden to stat the machine when the oil temperature lower than 20℃. 6. After no problems are found, start the machine according to the starting sequence specified in the operating rules, and wait for the oil temperature, oil pressure and cooling water pressure to reach the specified value. After the oil pump running for 3~5min, start crusher and feed materials. 7. In operation, the feeding must be uniform and the particle size should meet the requirements, generally less than 80% of the size of the feeding opening. 8. Check the oil pressure of locking cylinder, and the adjusting ring must be operational under locking condition. 9. Regularly check the abrasion situation of liner plate and the fastening condition of each parts. If loose, falling off or seriously worn, tighten the lining immediately or replace it on time. 10. It is strictly prohibited for non-broken objects to enter into the crushing chamber to prevent damage of the parts and crusher components. 11. Check whether the pipelines of the water cooling system are unblocked, as well as the amount of water and water temperature. 13. Stop the machine according to the stopping sequence specified in the operation rules. When the room temperature below 0℃, should drain off the water inside water sealing and cooling water pipes, to prevent damage of the water pipes. Next Article: How does the New Sand Making Machine Work?